On our first episode of Business & Burgers, Alan Taylor and Scott Duffy take us to the award-winning Muldoon’s Dublin Pub in Newport Beach, CA and sit down with world renowned artist, Noah Elias. Noah has created art for numerous Fortune 500 companies as well as his worldwide collector base. Whether he’s creating for Disney, Star Wars, or painting those incredible cars on The Fast and the Furious, Noah has turned creativity into a thriving business and a global brand. Each month, Business & Burgers co-hosts, Scott Duffy and Alan Taylor, visit a new city in search of amazing burgers and candid conversation with game-changing entrepreneurs. 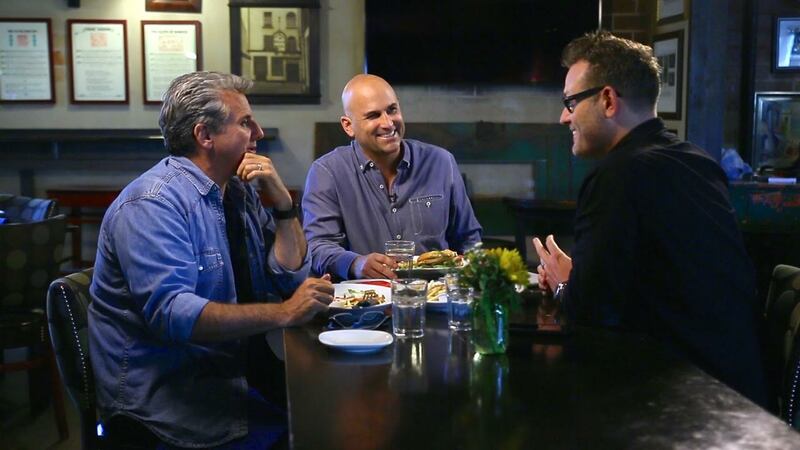 On the first episode of Business & Burgers, Scott and Alan sit down with Orange County native and world renowned artist, Noah Elias, at Muldoon’s Irish Pub in Newport Beach, California—a restaurant serving authentic Irish cuisine that will transport you across the pond (no passport required). Noah humbly began building his brand by selling artwork door-to-door on a bicycle. 25 years later, Noah runs his own creative studio and has worked with numerous Fortune 500 companies and franchises including Disney, Star Wars, and Fast & Furious. Noah shares his story and gives sage advice to entrepreneurs on leveraging time effectively, scaling a business, and utilizing technology to grow. Are you ready to harness your “time, talent, and treasure”?